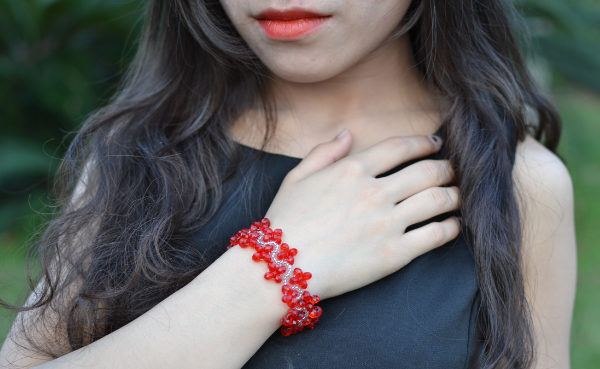 Summary: Pandahall Learning Center has started to sell our DIY jewelry kits on our website. Welcome to have a look and DIY your own unique jewelry and crafts. Good news! According to feedbacks from customers and funs, we start to sell kits for making a jewelry/craft. 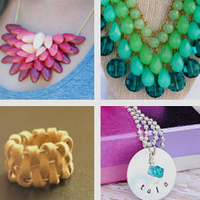 With buying a DIY kit from us, you can make jewelry under the guide of our free tutorials. Currently, we mainly sell material sets of popular DIY jewelry, crafts. Thank you all for your support and we will keep providing FREE useful jewelry DIY tutorials. Compared with single materials, the DIY jewelry kit is relatively cheaper. There are useful tool box in some DIY jewelry kits. You can buy one, and once for all. Usually in a DIY kit, beads are offered in different colors. You can choose the beads according to your personal preference. One jewelry/craft kit allows you to make several pieces of DIY work. You can find the DIY jewelry kits on the top right of our homepage. Please kindly click the tab called “HOT SELL DIY KITS” to visit our new arrivals. Put the jewelry kit you like into shopping cart with a simple click. Mode of Payment: Pandahall Learning Center accepts PayPal, Credit Card (via Global Collect), Bank Transfer, Western Union and so on. Be a fashion girl like her! If you need particular materials of our handmade jewery/craft, please tell us its picture, or tutorial link via email. Any questions, please feel free to contact us via [email protected].